Obituary for Pramila N. (Dayak) Sathyasheelappa | Donaldson Funeral Home of Clarksville, P.A. Pramila Sathyasheelappa, devoted wife, mother and grandmother passed away on November 23, 2018 at the age of 72. Pramila was born on July 30, 1946 to the late Savithri and K.C. Dayak in Bangalore, India. She was the eldest of 5 children. After high school, Pramila trained as a teacher and taught English and Physical Education at the elementary school level. Pramila married Sunder Sathyasheelappa on August 26, 1968. Her husband emigrated to the United States at the end of that year and she joined her husband a year later. They were blessed with two daughters and made Silver Spring, Maryland their home as they raised their family. 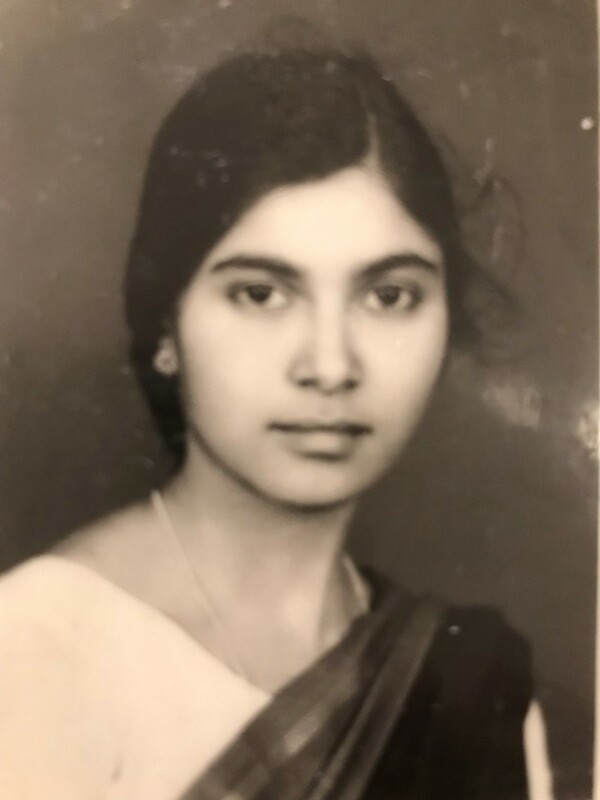 As she was raising her girls, Pramila began her second career; establishing an Elderly Care Home in Silver Spring, Maryland. She worked tirelessly to manage and care for the elderly. Her caring nature was exemplified through her work. She retired in 2006. She spent her retirement doing the things she loved most...spending time with her grandchildren, doing wordsearches, gardening and cooking. More than just a superlative cook, Pramila lived through the meals she prepared, pouring her love into them for her family, friends, and strangers alike. Her generosity, accepting nature, and vibrant spirit will be missed by us all. Pramila is survived by her husband, Sunder; daughters and sons-in-law, Sharmila & Prospero Roda and Savitha & Phillip Galenkamp; grandchildren, Jaiden and Kiran Roda; siblings and their spouses, Gideon & Jenifer Dayak, Sharon & Joy Kannanaikkel, Susanna & Kenneth Roe and Jeff & Meenaxi Dayak. She also leaves behind a host of nephews, nieces and friends. Friends and relatives are invited to join the Sathyasheelappa family on Saturday, December 1, 2018 from 6-8 pm at the Donaldson Funeral Home of Clarksville, P.A. 12540 Clarksville Pike, Clarksville, Maryland 21029. A Funeral Service will be held on Sunday, December 2, 2018 at 11 am at the Southern Asian Seventh-day Adventist Church, 2001 E. Randolph Road, Silver Spring, MD. 20904. The Committal service will immediately follow on Sunday, December 2, 2018 at 1 pm, at Union Cemetery, 3001 Spencerville Road, Burtonsville, Maryland 20866. A Repast will follow at Southern Asian Seventh-day Adventist Church fellowship hall.